What’s the difference between “in time” and “on time”? What do you call a person who cuts a man’s hair? What do you call an animal doctor? Johnny Grammar’s Word Challenge is a quiz for English learners to test common vocabulary, spelling and grammar that appear in everyday English. 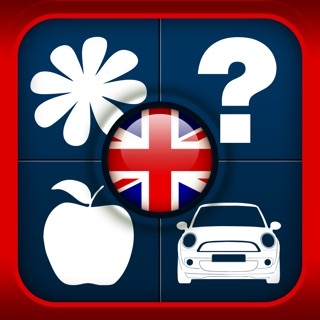 - 10 topics that include Food & Restaurants, Travel, Idioms and Hobbies. - Earn badges as you progress and share your score with others on the leaderboard! - Feedback is given for the wrong answers so that you know why they’re wrong. - We've fixed a bug in this version. If you have any feedback about the app, feel free to get in touch with us at learnenglish.mobile@britishcouncil.org and let us know. Thanks a lot! - We’ve made a lot of back-end improvements to keep the app functioning smoothly. - We’ve also added some information and functionality around data privacy to give you more control. - Finally we’ve fixed a content error that one of you reported in the Spelling quiz. Best app ever I definitely recommend this to any of you guys who need help with grammar. I have nothing to complain about, it is a perfect app. Furthermore I have nothing to change about it. It was also very fun! It helped me improve my grammar a bit, even though I know most of the things. So I DEFINITELY recommend it!!! App great. But need more time to give the answer and same question always come when you retry/home, even if you give the correct answer before . It’s pretty easy so far. Getting through the foundational stuff. I like it so far, so we’ll see how it goes if/when it gets harder.